how to post pics in forum? Re: how to post pics in forum? 1. Upload your pic(s) to a free host site, such as Photobucket. 2. Next to each pic is an IMG box. Left click in that box and the contents will automatically be copied onto your clipboard. 3. Paste those contents into a message on here. 4. It is not necessary but if you want to see if it worked before posting your message you can click on the Preview button. Hint: If you think you might be using Photobucket for eventually storing lots of pics it is a good idea to create different folders for each theme such as Food, Hobbies, Cars, etc. Just make sure you upload them to the appropriate folder. 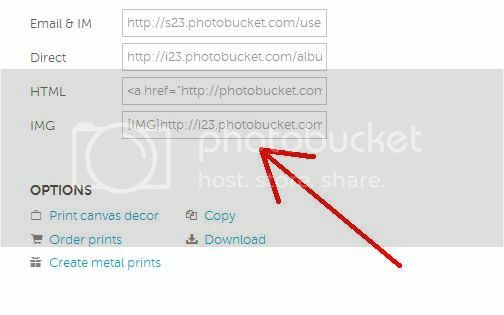 Keeping your Photobucket pics organized makes them much easier to find later on. This is a test. Trying to post a pic. You will have to find a file hosting site, like photobucket, except PB no longer lets you post to 3rd party sites, without payment. Search around, as there are free image hosting sites out there. Here's how I post Google Photos pics here on the forum. It's a free host service. 1. Enlarge the Google pic by left clicking on it so you're working with the large version and not the thumbnail. 2. Right click anywhere on the pic and then left click on "Copy Image Location". 3. Left click on the "Insert Image" icon in a new message here on the forum. 4. Paste the contents of the "Copy Image Location" data between the two "img" brackets. It's a long, long string. 5. If you want to see that it worked you can click on the "Preview" icon at the bottom of your message before you post it. With a little help from friends I think I have this figured out. thanks for the help Tedebear!